Nurses are being urged to air their thoughts on plans for a new master’s-level apprenticeship in district nursing that could ease workforce shortages. 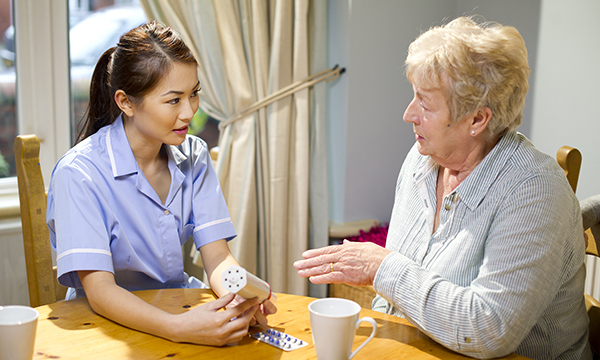 The Queen’s Nursing Institute (QNI) wants the profession to respond to a consultation on an approved new route into district nursing, which it says could bring new funding to district nurse education. The planned level 7 apprenticeship standard is in development and if approved will include non-medical prescribing and be funded through employers that would be eligible for the apprenticeship levy. QNI director of nursing programmes Sue Boran said: ‘It is vital that nurses contribute to this consultation, in order to capture the most important information to be included in the apprenticeship standard. An employer-led group that has been developing the apprenticeship standard includes 45 NHS trusts, community interest groups and private healthcare companies. The consultation being run by Skills for Health, which helps to develop apprenticeship standards for the healthcare sector, is open until Friday 16 November.